Embarrassed Often, Ashamed Never by Lisa B. Eilliot. The author, the mother of a young boy with Asperger Syndrome, gives us a rare glimpse of the ups and downs of family life with an individual who has autism spectrum disorder. From swim meets to Chinese restaurants, from school to church, to birthday parties, and everything in between, the reader is let into the everyday lives of the Elliott family. 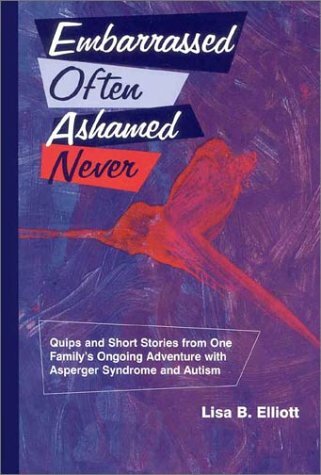 The episodes in the book all illustrate the basic tenet of this charming book – while living with a child with autism spectrum disorder often leads to embarrassing moments, nobody ever needs to be ashamed. Pp. 148.